If you’re over 18 years of age you’d be forgiven for not knowing about TikTok. Don’t worry; we’re here to bring you up to speed. Tiktok is a relatively new social media platform, predominantly used by young people. It enables the creation and sharing of short (15sec) vertical videos. However, more focus is put into the creation of the videos. People record and edit videos of themselves doing performances or challenges, rather than just capturing simple video content. TikTok is the globally branded version of Douyan, a Chinese social media platform launched in 2016. In November 2017 TikTok’s owners bought Musical.ly, a similar platform that was extremely popular with youth audiences in the USA. They merged the two platforms and user-bases to create a larger video community. The top influencers on the platform are all under 18. And where young people gather online… advertisers are quick to circle. This month a few people have started spotting an advert in the platform for Grub hub (similar to Just Eat). This appears to be just a test at the moment. However, likely that TikTok will soon roll out advertising more widely. We predict that adverts that appear on the platform will need to be quite different in nature to those seen on other social networks. 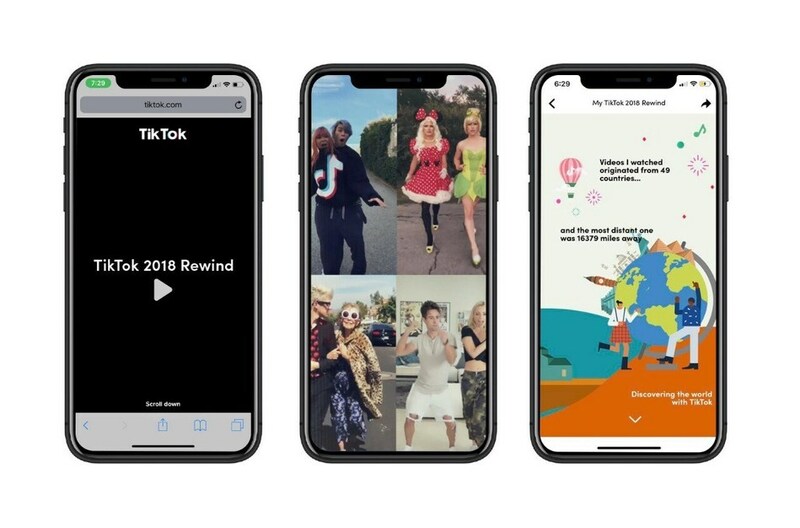 As the TikTok community values effort and carefully put together content, advertisers will need to take note. A simple image and advert text simply won’t cut it. Advertisers will need to present something that fits with the aesthetic, and doesn’t necessarily stand out as an advert. Brands could look at creating their own fun challenges, perhaps collaborating with influencers that are already native to TikTok. This new social platform presents a great opportunity for brands to get far more innovative over the next few years. Some may even build teams dedicated to devising creative content marketing experiences for these emerging platforms. But the time to move is now. Marketers need to master new platforms before fickle younger users move to newer platforms. It’s good when social media challenges us to think of new and exciting ways to portray our brands. There may also be opportunities to advertise in the Chinese version of the app, Douyan. This would give marketers the first truly global social network and open up a massive new international audience. So, it’s definitely worth exploring what TikTok has to offer.